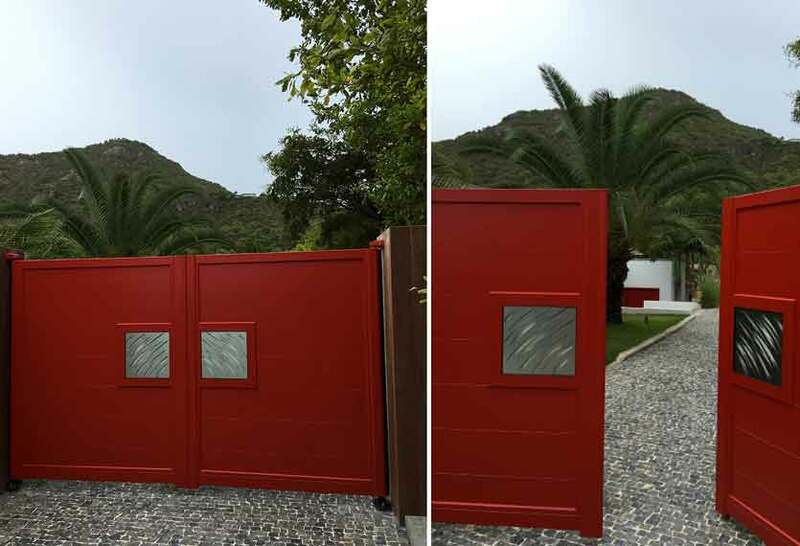 Click on the images in our gallery below to view our Night & Day Collection of Aluminium gates in more detail. 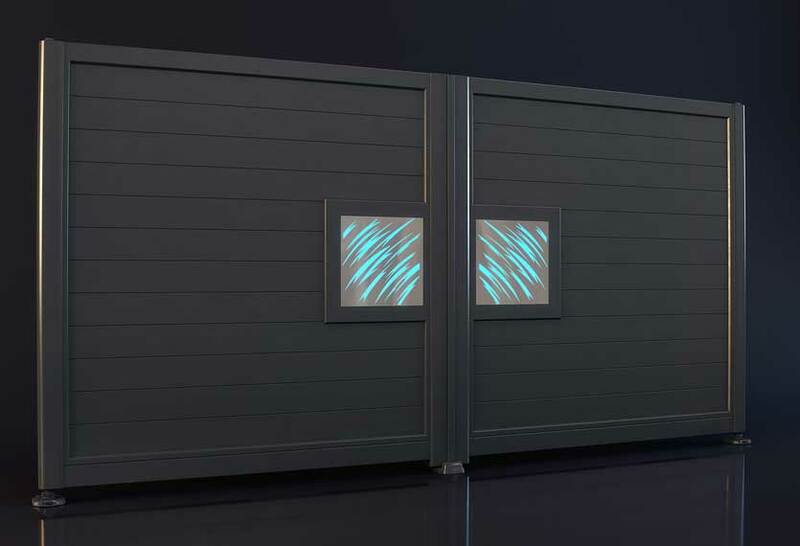 A completely unique idea to the industry, the Night & Day® collection of swing gates and pedestrian gates are equipped with a unique high quality “state of the art” LED lighting system. 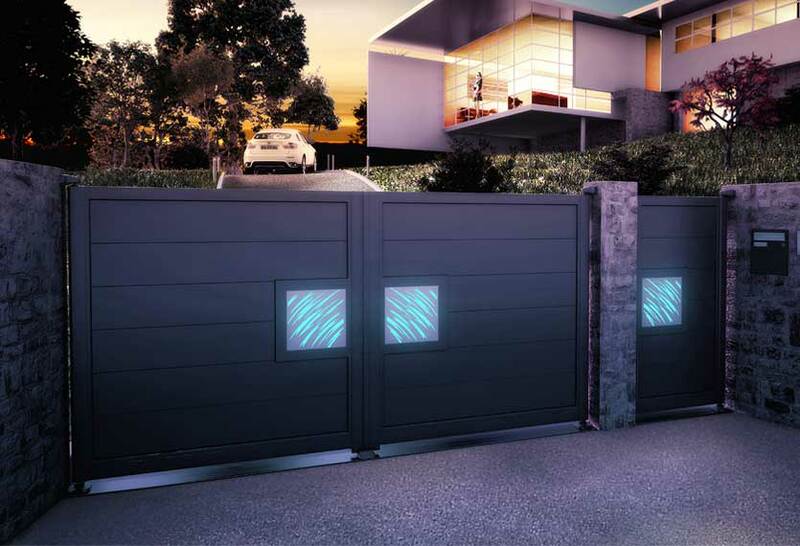 Using the WiFi on your smartphone or tablet you will be able to manage and control the lighting of your gate via an App. A selection of one or more colours can be programmed along with personalised sequences, changeable at any time. 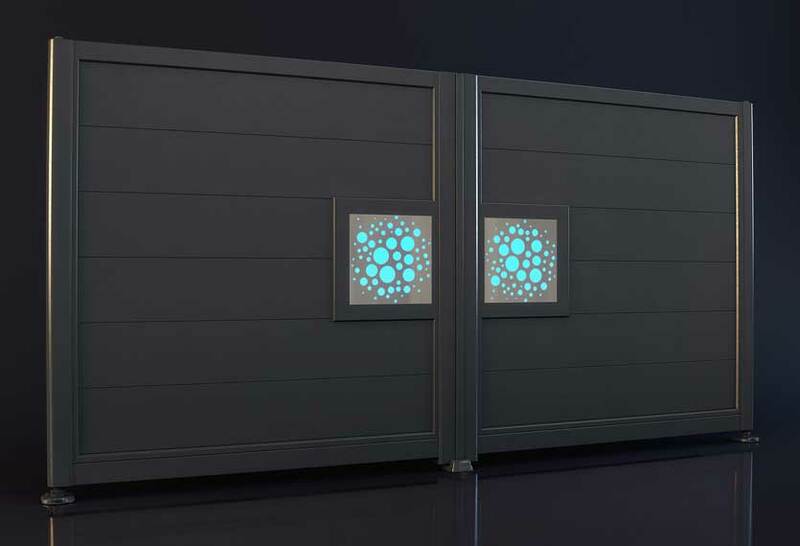 Placed in the gate rebates in a perfectly sealed box, your lighting can be designed from several patterns that are laser cut into aluminium sheets. 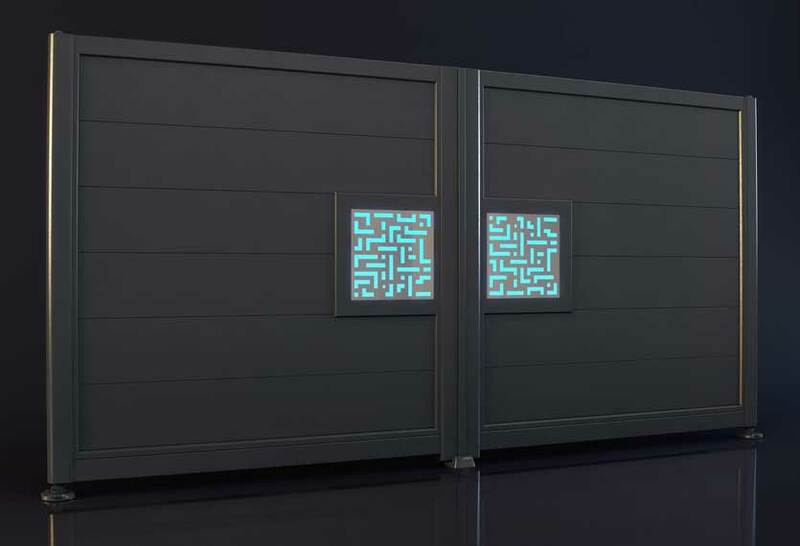 The choices of lighting box patterns are “claws”, “moons”, “bubbles”, “lines”, “reeds”, “squares”, “labrynth”, “mosaic”, “sun”, and “waves”. Compatible with iOS and android systems you can choose between a “Premium Light” version (inside and outside) or “Single Light” version (outside only). The available lighting colours are “white”, “warm white”, “amber”, “green”, “blue”, “red” and “fuchsia”. 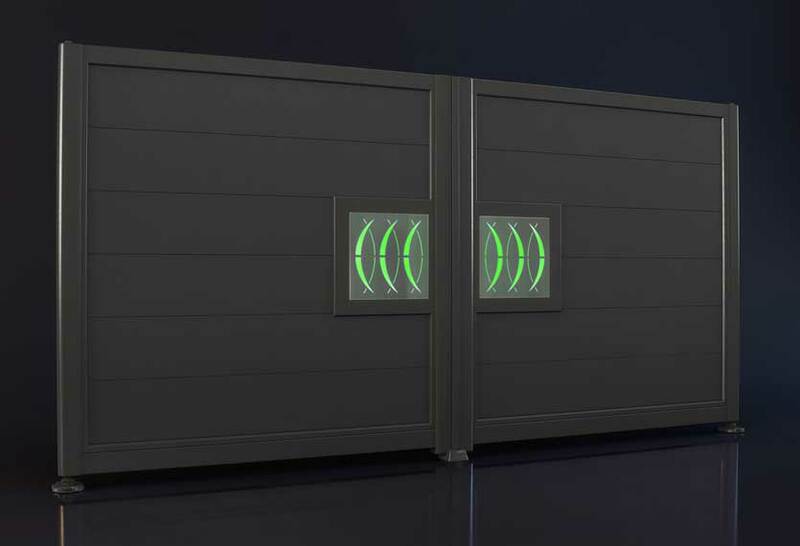 All Night & Day® gates, as with all in our Horizal range, are fully compatible with all types of swing gate automation and now available in sliding versions due to a wireless lighting contact when the gate is in the closed position. 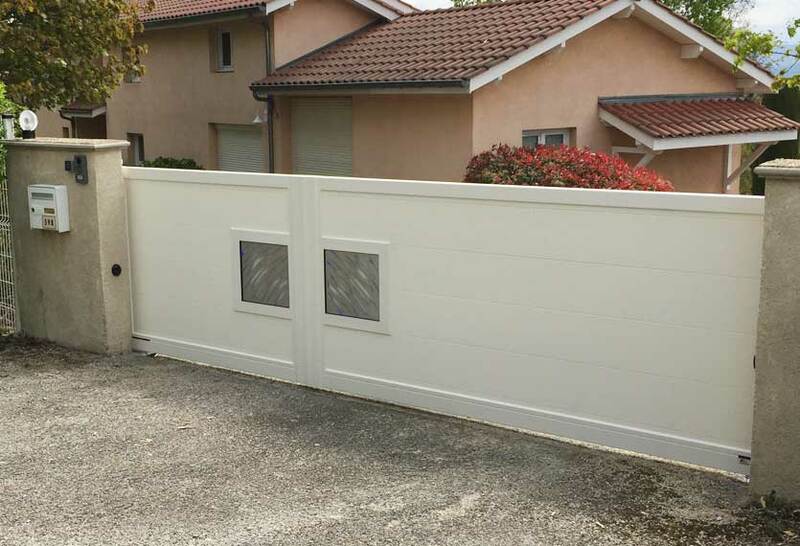 All gates are flat-topped only, with a choice of 125mm or 250mm horizontal boards and are available in any standard or non-standard RAL paint finish. 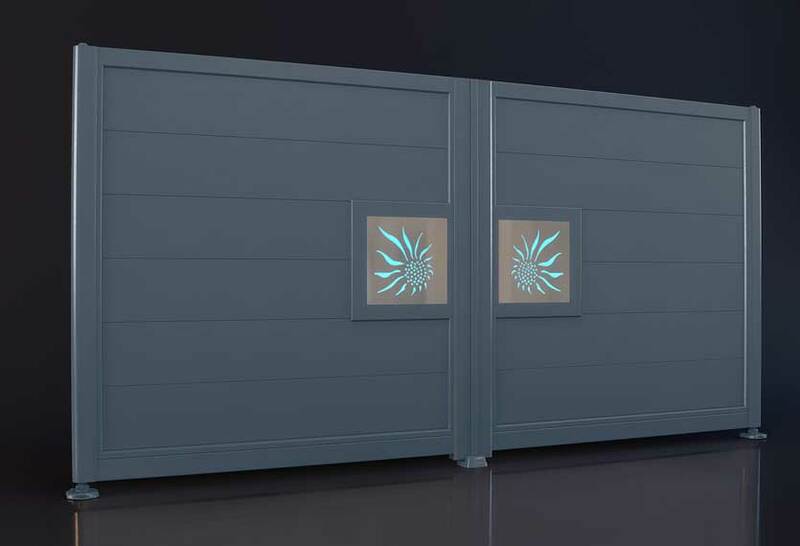 If you are looking for something innovative, ultra-modern and stylish, the Night & Day® range may just be for you. 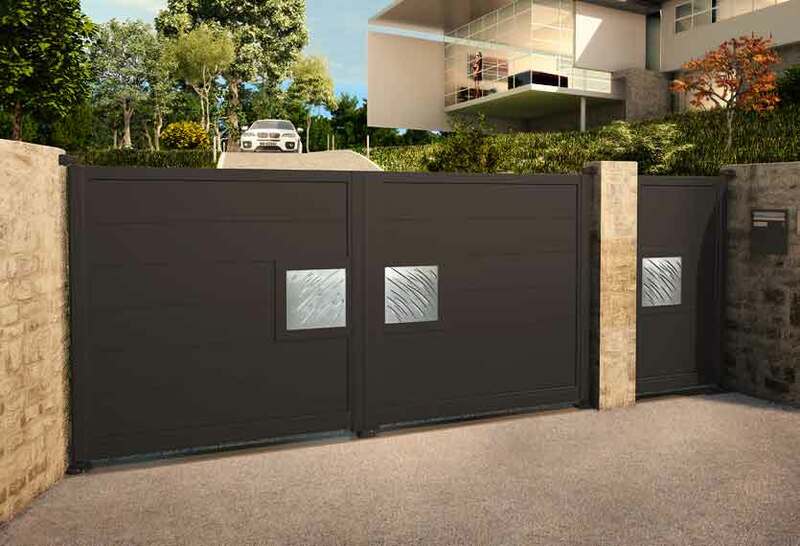 For detailed information on the Horizal Night & Day collection of aluminium gates, including personalising your gate, and how to choose your ideal gate, please download our guide. Alternatively an overview of available features can be found in the tabbed area below. 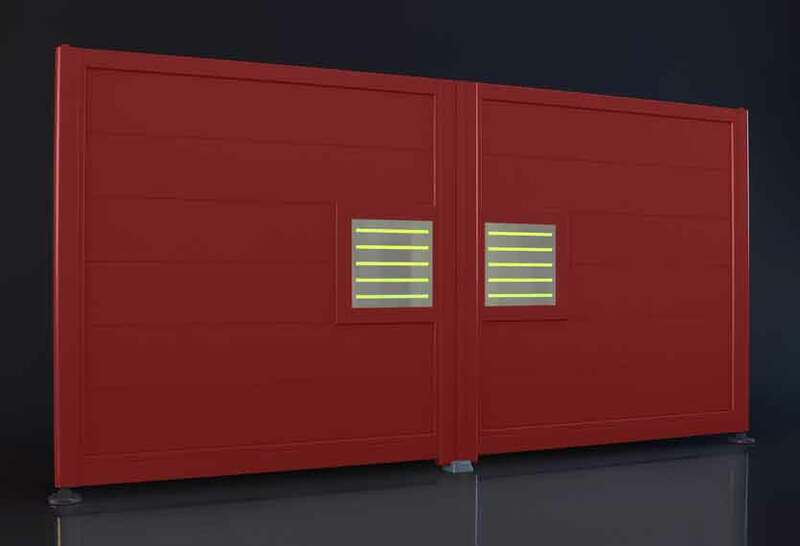 Choose your design – 10 standard patterns to choose from obtained by laser cutting.